It’s no secret that one of the most prominent aesthetic concerns for men is premature hair loss. Luckily, the rise in popularity of platelet-rich plasma (PRP) therapy, a treatment that involves separating platelet-rich fibrin and PRP (see PRP face-lift on page 56) from the patient’s blood and injecting them into the scalp ($750/session), will have men everywhere throwing away their caps and scheduling a consultation. Anecdotal evidence suggests this treatment is promising in reversing hair loss. But the key is to stick with it—two to three maintenance visits per year are recommended. “PRP requires long-term maintenance, and though I’ve seen many men for the initial treatment series, fewer of them [than women] maintain it,” says Katherine Dee, M.D., at Glow Medispa. The unique skin care needs of men, who tend to have larger pores and produce more oil than women, have largely gone unaddressed. Thankfully, several local spas have recently developed facials tailored for men that clean out pores and focus on exfoliation to release trapped ingrown hairs and remove dead skin cells. With the Gentleman’s Facial ($150), you’ll enjoy 50 minutes of serious skin rejuvenation. While the popularity of the retro barbershop is nothing new for a certain group of suspender-wearing hipsters around town, more and more men have decided to see what all the fuss is about and enjoy a traditional visit to the barber while upping their pompadour game in the process. 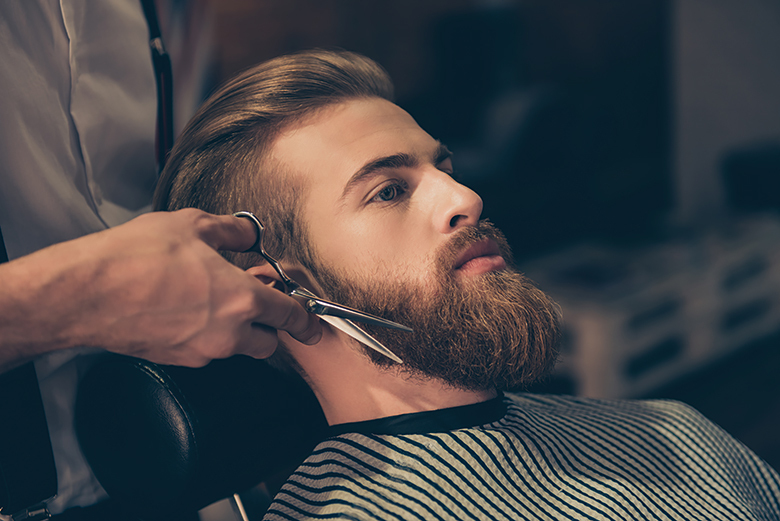 Find a range of services, from a buzz cut to a straight razor shave, at Acme Barbershop, with its retro vibe; or at Simone David Barbershop, with its leather-and-mahogany digs.